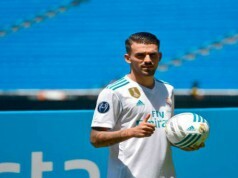 Real Madrid bosses don’t want to change a lot of players in the squad but this summer there are many updates in the squad. Zinedine Zidane’s departure after winning the Champions League opened a door to refurbish the dressing room and some players are on their way to leave the club. Cristiano Ronaldo was the first one to leave, but also Mateo Kovacic asked for an exit. 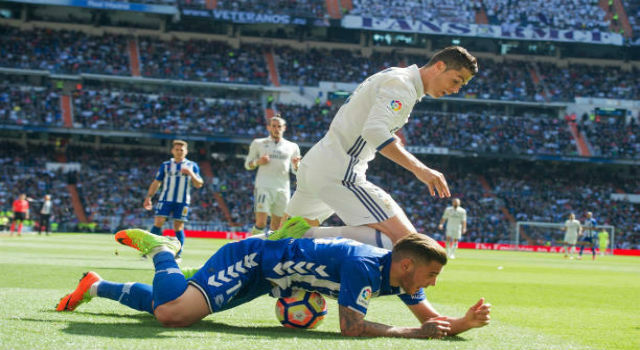 Now Julen Lopetegui wants to get rid of Theo Hernández. Los Blancos spent €30M last year to sign Theo Hernández from Atlético de Madrid after his successful season on loan at Alavés. He was supposed to be Marcelo’s replacement and an alternative for the left back position in the future. However, his performances were very poor and Zidane didn’t rely on him in important games, using Nacho Fernández as a left back when Marcelo was unavailable. Theo Hernández played 13 games in La Liga, with a total of 962 minutes, so he had plenty of opportunities to shine and convince the managers. He failed on that and now he can leave the club on loan to another club. The idea of Real Madrid is letting him go on loan and see if he can improve to return in the future years. Something similar to the strategy followed with Achraf Hakimi, who joined Borussia Dortmund this July, or with Daniel Carvajal in the past. The French defender has several offers. Juventus are interesting on getting him on loan because they are looking for a replacement for Alex Sandro, who might leave the club and sign for Manchester United or Chelsea. The other important option would be Real Sociedad. Los Blancos have a very good relationship with the Basque club and they made a deal this summer with Álvaro Odriozola. The tricky thing for this operation would be convince the other clubs to take Hernández on loan. With 20 years old, Los Blancos don’t want to get rid of this player with great potential, but most of the clubs want a full sell. Besides, Real Madrid would ask for an elevated sum of money -they paid €30M just one year ago- in case another club shows up to get Theo on board. Next articleJames Rodríguez Shut the Door to Real Madrid… For Now!